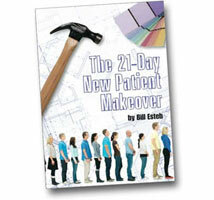 Over the years, Bill has created some popular eBooks covering a variety of patient communication topics. Downloaded by thousands of practices around the world, use this information to grow your practice and increase your patient influence. 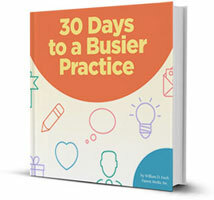 30 Days to a Busier Practice captures the most practical ways to grow your practice or turn around one that's been slowly eroding. With a new action step to do each day for a month, you'll create the momentum that is essential to get things going again. If you're happy to work independently and are blessed with high levels of self-discipline, download your free copy and get to work today. Let us know what shows up for you during the next 30 days! Download below. Over the three decades that Bill has been creating patient education materials for chiropractors, he has come across many ways to explain the various facets of chiropractic to patients and non-patients alike. 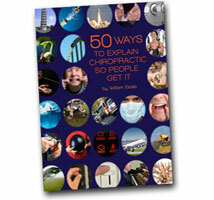 He has collected 50 of his favorite metaphors, similes, word pictures and analogies, publishing them in this free eBook. Discover new ways to explain symptoms, the chiropractic adjustment, muscle spasms and all the rest. You'll get visual illustrations plus the scripting that makes each concept come alive for your next report of findings or patient question. Download below. 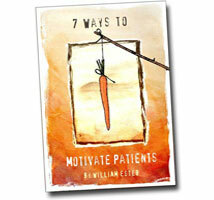 Leading and motivating patients is one of the most frustrating (and rewarding!) aspects of being a chiropractor. Here are seven strategies that you can implement today to enjoy greater patient influence. When you apply these seven principles with patients, your children or anyone else you want to influence, you'll experience a new level of sway and authority. These are techniques that the busiest chiropractors use when building rapport at their consultations, reports and daily visits to inspire patients to follow through with their care plan. Download below. Do chiropractic new patients seem elusive? Is it a constant struggle? If you had more new patients would you have greater confidence about the future? If you want to help more people, but getting new patients seems like an uphill battle, it's because marketing your practice is not what you were trained to do. Ironically, it's among the best clinicians who suffer from this challenge. Headspace, scripts and action steps are all included in this eBook that has helped thousands of practices. Download below. Adjusting consists of over 50 short chapters covering everything from first visit scripting to financial policy and the dismissal process. 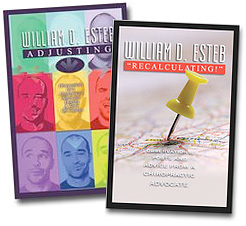 “Recalculating!” is his 11th book in the patient’s point of view series containing his latest patient advocate observations.